If each time the school calls is to inform the parent that their child has misbehaved (or is sick or forgot their lunch), one imagines that when the phone rings and the school’s phone number comes up on the “caller ID”, the parent is not exactly excited to pick up. But what if just every now and again we are calling to let them know how proud we are of their child? 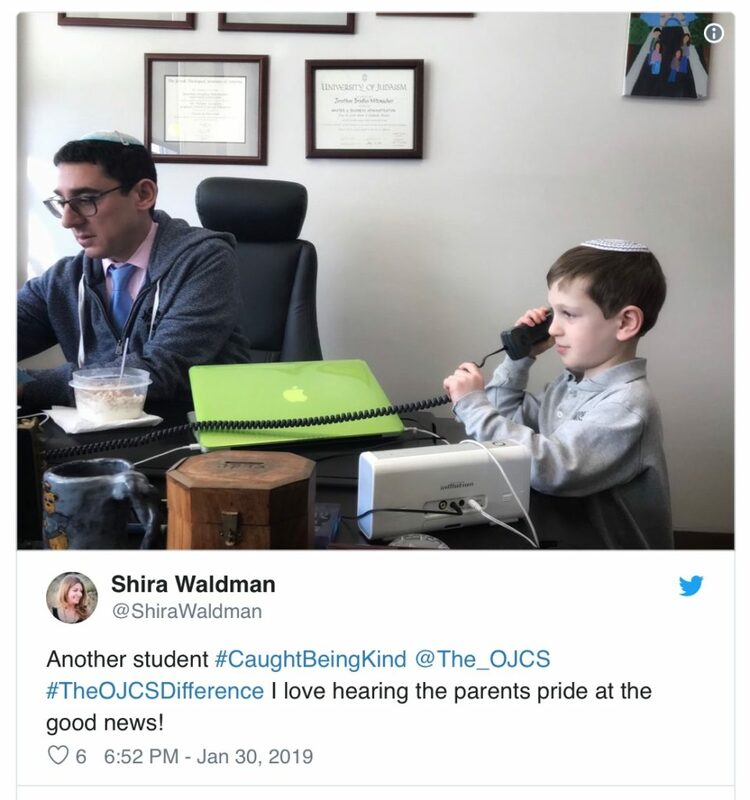 How often do principals or heads of school get to call parents with good news? And that was before we had clarified our “North Stars” or launched our “7 Habits“. It was simply a desire to flip the script. 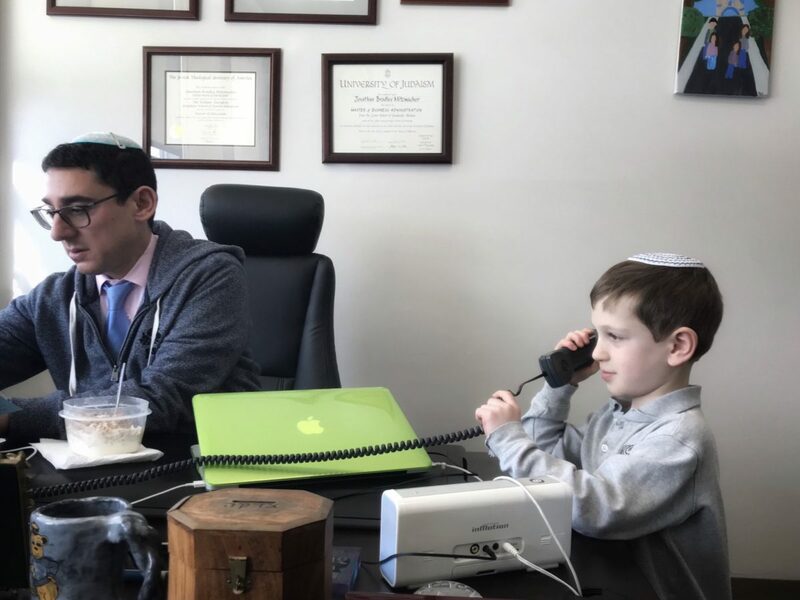 If each time you were sent to the “principal’s office” was because you were in trouble, you probably wouldn’t want to be hanging out in that part of the building. And if a principal only spent his or her time with students referred for misbehavior, there would be a significant gap in relationships. We made a commitment that our teachers would start sending students to us when they do something kind. 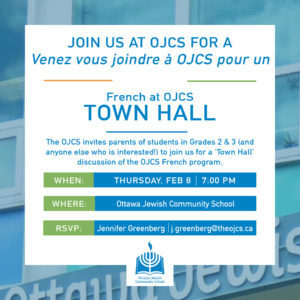 That way when the phone rings in the home of an OJCS parent and the school comes up on the “caller ID”, the emotion it triggers is excitement and not dread. It actually took a bit longer than expected to get going, but it has been slowly building this year. The above is just from the last few weeks…so…pick up the phone when we call…your child may be next! Go to the Principal’s Office! You’ve Been “Caught Being Kind”! 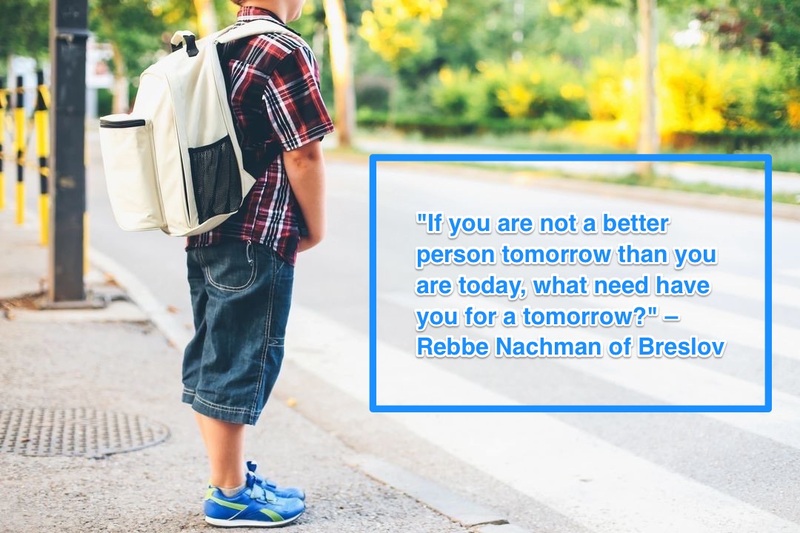 As part of developing this spirit of leadership and a community of caring in our school, how wonderful would it be if each of our students – and our parents and teachers – held the additional title of “Kindness Ambassador”! One step we look to take right away is to empower our teachers to start sending students to us when they do something kind. 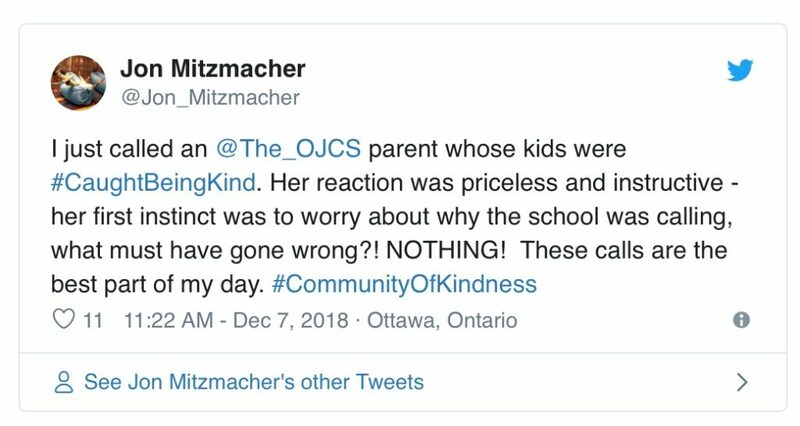 We look forward, as an administration, to focusing on positively rewarding kind behavior as much, if not more, than applying consequences to unkind behavior, so that when the phone rings in the home of an OJCS parent and the school comes up on the “caller ID” that the emotion it triggers is excitement and not dread. Pick up the phone when we call…your child may have been caught in the act of being kind! 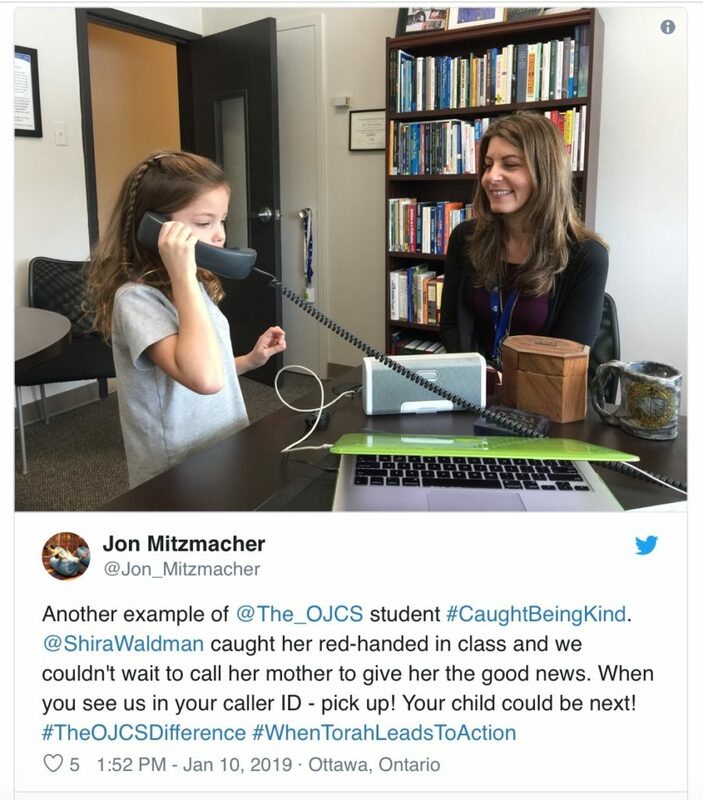 Author Jon MitzmacherPosted on February 2, 2018 Categories Community Building, Community of Kindness, Jewish EducationTags community, kindness1 Comment on Go to the Principal’s Office! You’ve Been “Caught Being Kind”!